AQUATREAT has a wide range of water supply services meeting commercial, industrial, municipal and agricultural needs. These services include studies for determination of the quantity and quality of available sources, current and future supply requirements. 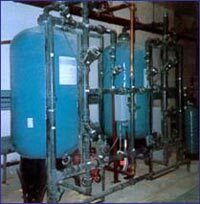 AQUATREAT treatment plants are designed to provide high quality water to ensure maximum safety for consumer. AQUATREAT have supplied systems and services to customers in ultra-pure, potable, dialysis, pharmaceutical, water recycle, and numerous other applications.